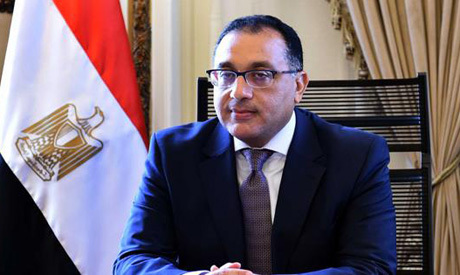 Egypt's Prime Minister Moustafa Madbouly attended on Wednesday the signing of an agreement to purify the country's Kitchener Drain at a cost of €148.3 million. The agreement was signed by Minister of Water Resources Mohamed Abdel-Ati and Katrina Hansen, deputy director of the European Bank for Reconstruction and Development (EBRD) in the presence of Minister of Investment and International Cooperation Sahar Nasr. The signing of the agreement is part of President Abdel-Fattah El Sisi's directives to the government to purify the canal water and provide necessary funds on that score. Nasr described the agreement as very important, saying it aims at improving the health and environmental conditions in the governorates of Daqahliya, Gharbia and Kaf El-Sheikh. Hansen, meanwhile, said her bank's investments in Egypt so far have reached €4.5 billion, praising economic and legislative reforms in the country. The project is based on three axes, including the collection and treatment of wastewater, solid waste management, and the rehabilitation of the drain infrastructure. It includes the construction of a modern structure to improve the health and environment of about 11 million citizens in 180 villages in the provinces of Daqahliya, Gharbia and Kafr El-Sheikh, and to support the purification of wastewater to be reused safely in irrigation and agriculture.